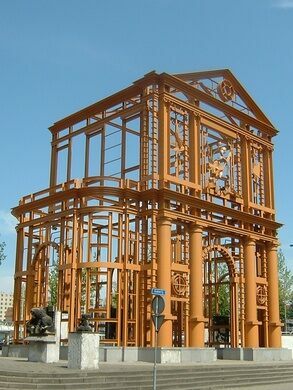 The Delftse Poort was built in 1545 as part of the Rotterdam’s fortification, protecting it from raiders and attackers. Over the years and through the ages, the use for such a structure diminished, but the gate remained as a monument to the city’s past. The gate was rebuilt three times after the original structure had become unstable. In the 1930s, an attempt was made to demolish it to free up space for infrastructure, however, the people spoke up and eventually, the city decided to move the gate to a different spot instead. Unfortunately, the WWII began and the gate—and city as a whole—was severely damaged in the course of multiple bombings. After the war, reconstruction began and the city slowly grew back. 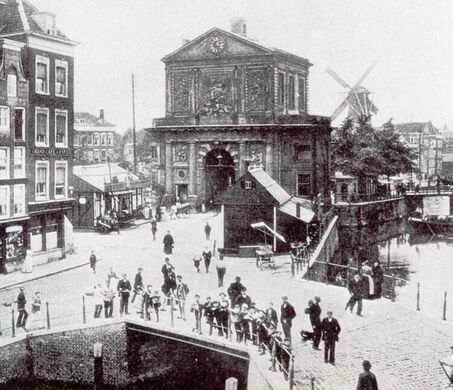 The medieval gate was forgotten until artist Cor Kraat sought to resurrect it. 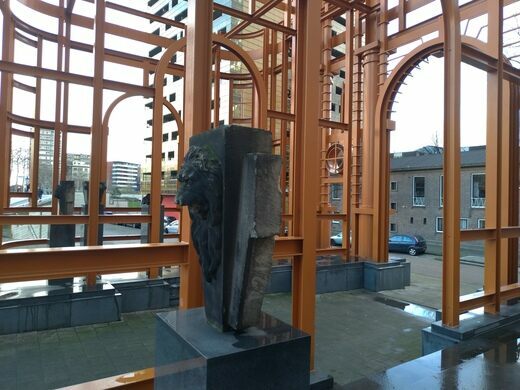 Cor Kraat was opposed to the gray and tasteless architectural style that was used right after the war. Calling the houses gray blocks, he spent much of his life trying to bring contrast and color to the city. 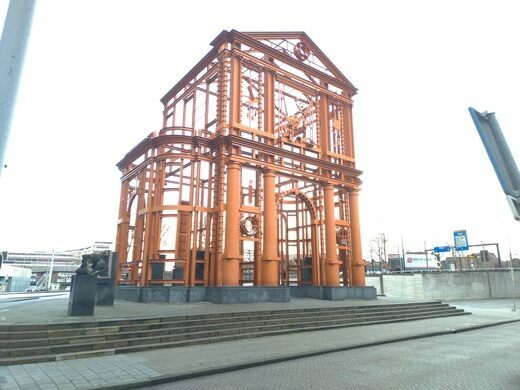 The gate was put back in 1993 as a skeleton made out of orange metal beams to symbolize how Rotterdam is constantly under construction. The gate is a public art piece and open 24/7. A dramatic art installation features a BMW flying out of a building in Rotterdam.